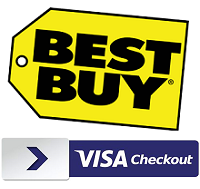 Through February 22 or while supplies last, you can get $25 off your purchase of $100 or more at BestBuy.com when you pay with Visa Checkout. Exclusions do apply, and this offer is limited to one per customer. 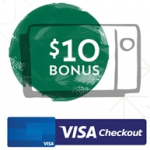 Notably, gift cards and prepaid cards and services purchases do not qualify for this promotion. 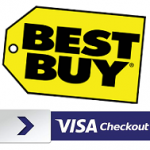 The $25 discount will be automatically applied to your qualifying BestBuy.com purchase of $100 or more when you select Visa Checkout as your only payment method. For more details, see www.bestbuy.com/visacheckout..